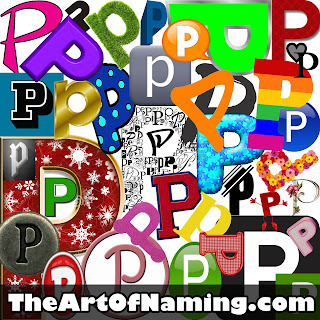 Perhaps you are looking to honor someone whose name starts with the letter P. However, you don't want to use their exact name so you've decided to simply give your child the same initials as that person. That means you need a great P name that you can love! Fortunately for you, you've just stumbled upon a list of The Very Best P Names for Boys and Girls! 50 P names, to be exactly, 25 for girls and 25 for boys. That gives you plenty of options to choose from! So what will it be? Share your favorite P names in the comments below. Did I miss any great ones? Since you'll be needing another letter to complete your honor name, be sure to browse the following links for more excellent monikers! 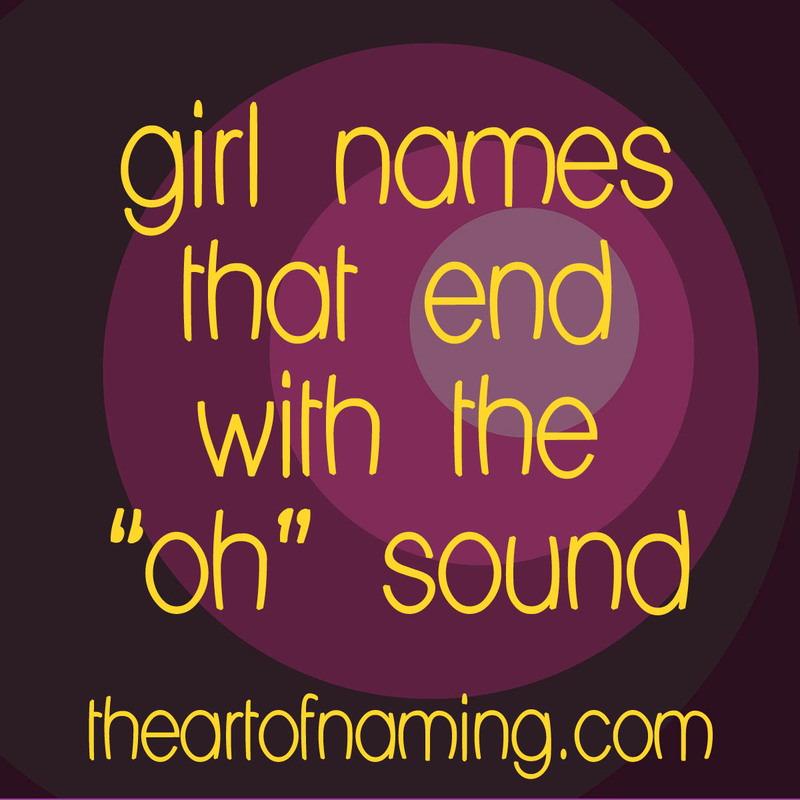 There is something intriguing about feminine names that end with the "oh" sound. Many of these names have a spunky elegance to them. 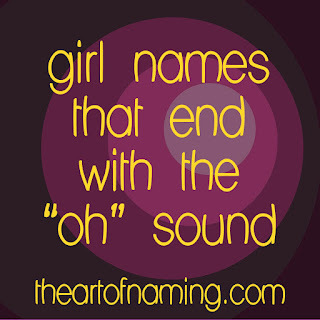 Since this ending sound is somewhat unusual for girls, the majority of these names are far from popular. Willow ranks the highest at #138 in 2014. Harlow ranks at #508, and Shiloh is at #608. A name to watch is Margot. It is catching on fast, ranking at #749 in the US. These are some of the best options I could find that end with "oh". If you are searching for names that are interesting and uncommon, you've found the right list! Which of these do you like most? Can you think of any names that I missed? 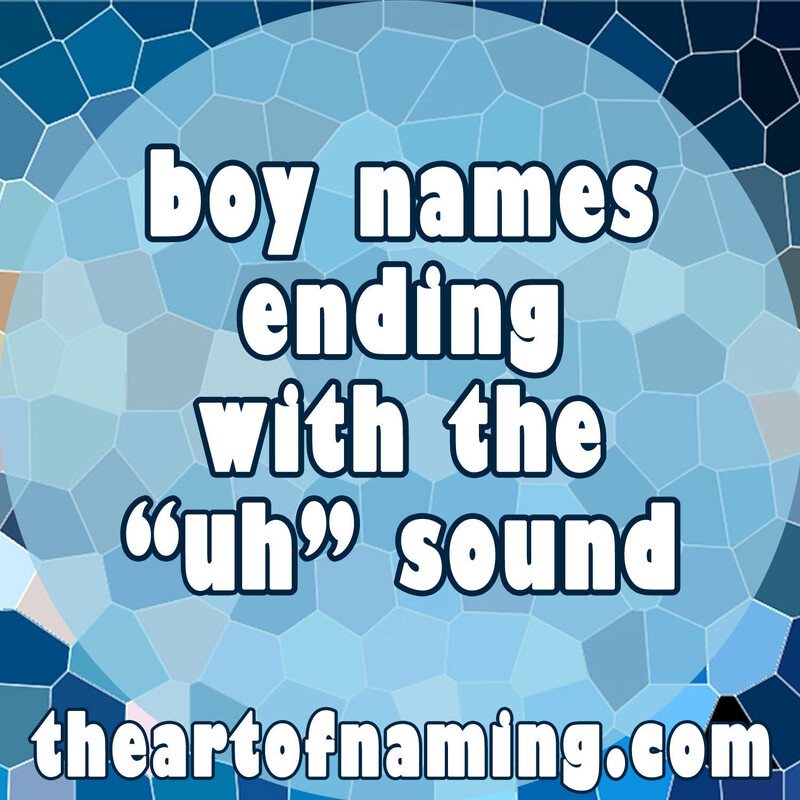 Be sure to check out the list of boy names that end with the "ah" sound, as well! 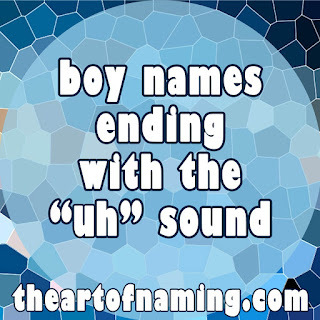 In recent years, the majority of masculine names have ended in the letter N. The second runner up to that is the letter R. These endings, while also used for females, tend to denote a strong, masculine name. However, there is a whole other breed of masculine names that happen to end with what some may consider the "most feminine sound." The names we're looking at today are mostly biblical and end in either -a or -ah. There are a few notable exceptions such as Dakota, Indiana and Ventura that aren't based on a biblical name but still work very well for boys. Interestingly, though, it is this "uh" sound at the end that gives these biblical names their strength. More and more parents today are using these names. For example, our #1 boy name for the past two years is Noah which is leading the pack and paving the way for other "ah" names to rise to fame. Which are your favorites? Are there any I missed? Beyond the popular Olivia, Oliver and Owen, there aren't very many popular names that start with O. 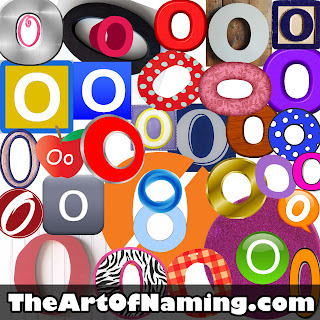 In fact, most names that start with the letter O are rather obscure. 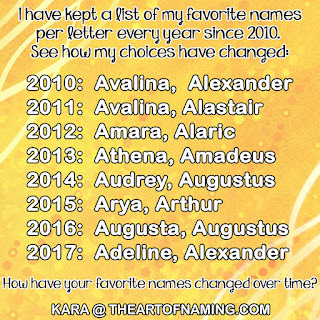 Orion and Orlando are rather common now for boys, but many familiar female names like Ophelia or Octavia do not rank within the Top 1000 names and they haven't for decades. 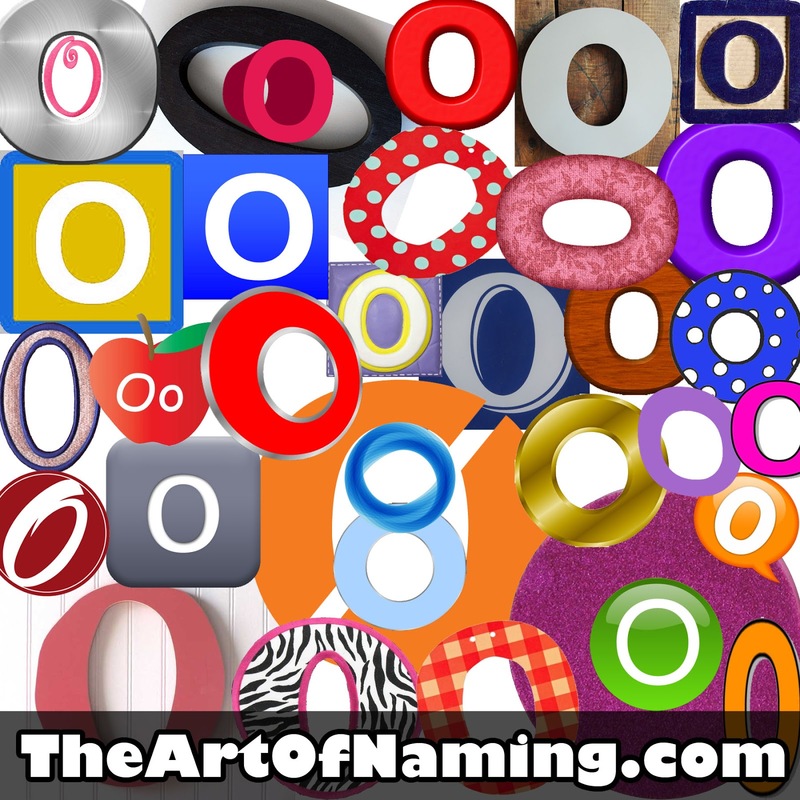 Do you have any favorite O names on your shortlist? If not, you have now found a treasure trove of unique options! Just browse the list below and name with boldness knowing that your little one will have a great, uncommon name! So tell me, which of the 25 very best O names for girls, and 25 for boys, do you like best? Kids today have so much technology at their disposal that most of them probably don't write nearly as often as us older folks did. I don't know about you but when I grew up, cursive was still very much a thing. I remember having to practice each letter over and over again until I got them right. My favorite letters, of course, were the loopiest ones like f, g, l, p, and y. I remember doodling all over my binders wishing that my name had loopier letters in it. When my name didn't satisfy, I began writing the names of my friends, my classmates, my family members and my crushes instead. These days, everything is so digital that I can't remember the last time I actually pulled out a pen and paper and got my loop on. Since I was thinking about it, I started to wonder which names would be the most fun to write. This interesting and rare boy name has so much going for it in the way of cursiveness. The ll, the g-to-h, the b and the y... I'm dying to write this down right now! Aren't you? Willoughby was sometimes used a century ago for males but it's very rare now. This spelling had 6 births for boys and 7 for girls in 2014. This nature name looks beautiful in cursive. You really can't beat going from a drop-down-loop to an upper loop like this y to double-l transition. And there's something adorable about a lowercase S. Amaryllis has never been popular but it has been used since 1926 in the US. There were 49 births for girls in 2014. My favorite cursive letter of all is the capital L! There are so many loops in Loulabelle that it's impossible to not want to write it a dozen times! Plus it sounds beautiful too! This spelling of Loulabelle has no usage on record in the US as a name. Honestly, the longer the name, the better! With four syllables and eleven letters, Cadwallader offers so much in the way of cursive writing. Even just eyeballing it made me dizzy! Cadwallader has no usage as a name in the US but it would be a quirky choice. I may have added an extra L to this beautiful guilty pleasure name but Tigerlilly really is a pleasure to write! I mean, check out that capital T! According to records, this spelling of Tigerlilly has only been used for 5 girls in 2001 and 5 girls in 2010. It would be a shame to exclude the marvelous lowercase letters Z and Q. Plus, capital E's are so curvy and fun to write! Used since 1912, Ezequiel has ranked in the Top 1000 since the early 1980s and had 485 births for boys in 2014. Don't forget about those loopy F's! Rafferty excellently displays plenty of fun letters that you'll love to doodle absentmindedly. Cross that T with style! As a name, Rafferty is rare. Used in the US since 1989, it only had 11 births for boys in 2014. Another satisfying letter is the capital D. This lovely name will take you on a roller coaster ride of cursive goodness! 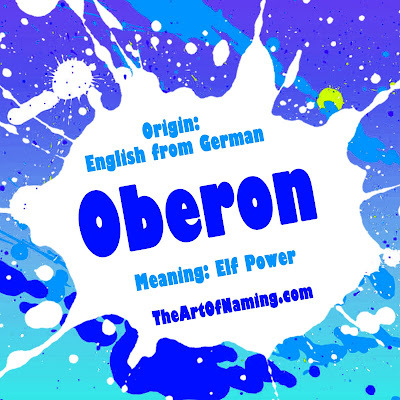 Plus, it's rare and lovely as a name! It has been around since 1902 but it has never gained steam. There were only 8 girls named Delphina in 2014. Gorgeous Gwendolyn also has an amazing capital letter along with some lowercase loopiness and an l-to-y combo. What's not to love? This name had a popularity peak in 1953, declined after that but is starting to climb the charts again. There were 756 girls given this name in 2014 for a rank of #420. Last but not least, Jumpin' Jehoshaphat may not be used at all as an actual name in the US, but it's definitely full of excellent cursive loopiness. Look at that capital J! It even has three H's! I dare you not to doodle this one throughout your next class or business meeting. What do you think of my collection of cursive-friendly names? I know there are way more names out there that would inspire anyone to pull out a pen and paper. Can you think of any?